Erik Olin Wright understood the necessity of clearly articulating what’s wrong with society, what a better society could look like, and how we could get there. 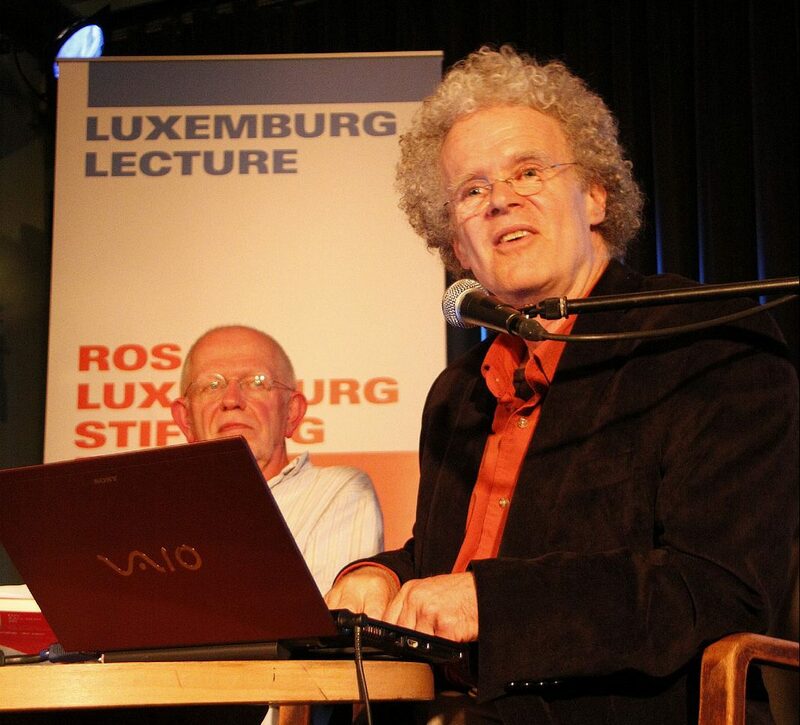 Erik Olin Wright’s death is an incalculable loss. In the weeks leading up to his death, and in the time since, his students and others whose lives he touched have gathered their thoughts about what they learned from him using the hashtag #EOWtaughtme. Erik’s life was defined by contradiction. Personally, he was serious but also silly. Professionally, he rose to the pinnacle of his discipline, while remaining somewhat of an outsider. Intellectually, his core theoretical contributions — contradictory class locations and real utopias — each embody contradiction. While contradiction is usually something negative to be avoided, for Erik it was to be embraced. This was not out of laziness or carelessness — he saw the productive tension that could arise out of contradiction. Focusing on his intellectual contributions, the idea of contradictory class locations resolved a thorny problem for Marxist class analysis: where to fit the middle classes? Were they essentially bourgeois or proletarian, some new form of petty bourgeoisie, or something else entirely? The question was far from academic. The answer shaped how class lines were drawn in modern capitalist society, which in turn determined possible class coalitions. Likewise, in his later work on “real utopias,” Erik grappled with another thorny problem: how do we build a vision of a future beyond capitalism that doesn’t slip into idle speculation about blueprints for a utopian future, disconnected from history and politics? Again, his solution was to embrace the contradiction, searching for emancipatory seeds of the future in projects being built today. The goal was not to point to such projects as examples of an emancipated future that is already here. Rather, it was to identify points of tension and contradiction within capitalist society that could provide guideposts for an emancipated future. Erik’s ability to identify and embrace contradiction was at least partly due to his commitment to clarity. This was not an effort to paper over nuance or hide uncertainty. Rather, it was an effort to advance knowledge. Instead of fudging inconsistencies by burying them in verbiage, he sought to articulate them clearly and grapple with them out in the open. This made him an easy target for criticism, as many have noted. Whether you agreed or disagreed with him, you knew exactly what he was trying to say. But even as he held firm to his core beliefs, he welcomed the criticism, because he knew it would help to refine — and revise — his ideas. I was always impressed with Erik’s ability to balance clarity and uncertainty. As anyone who has dug deep into a specific issue knows, we become painfully aware of the nuances and caveats surrounding the claims we make about the world. The awareness that things are never quite as simple as they seem can get in the way of communicating our ideas, as we muddy up our writing with a security blanket of qualifiers and modifiers. Erik could strip away the muck to get to the heart of an idea, while never losing sight of the complexities and uncertainties surrounding it. My first-hand experience with this involved an article I was revising for publication while I was a postdoc under Erik’s mentorship at the University of Wisconsin. The journal editors were asking me to add more empirical evidence, while also cutting the length by a third. After weeks of fruitless struggle, I knocked on Erik’s door to ask for help. He listened patiently as I sketched out the intricacies of the argument and detailed my fruitless efforts to satisfy the editors. He then gave me some advice that has stuck with me ever since: take those intricacies and uncertainties, hold on to them, and then trust yourself that you know what you’re talking about. Developing that contradictory mix of humility about what I didn’t know, and confidence about what I did, was essential in cutting to the heart of what I was trying to say in the paper. I finally cut it down to size. While useful in an academic setting, Erik’s commitment to clarity was politically important, too. As someone who maintained a lifelong commitment to transformative social change and a future beyond capitalism, he understood the necessity of articulating a clear assessment of what’s wrong with the current situation (his class analysis), what a better situation would look like (his real utopias project), and how to get there (his final book). Given the stakes involved, there was no room for obscurantism. A clear assessment could invite sharp criticism, which could then result in a better assessment. It’s a model to follow for academics and activists alike. Erik brought the same approach to his impending death as he had to his life’s work. Indeed, his death was characteristic of the man, “so very Erik,” as his student Elizabeth Wrigley-Field put it. He embraced the contradictions of his situation, while assessing it and articulating it to those around him with crystal clarity. Erik may no longer be with us, but what he built as an intellectual, an advisor, a teacher, and a human being lives on.